Crossrail confirms shortlist for rolling stock and depot facilities - Crossrail . For information about the Elizabeth line please visit the Transport for London website. To deliver Crossrail services to the 37 stations along the route, around 60 new trains will be required, bringing an additional 1.5 million people within a 45 minute commute of London’s key business and leisure districts. Crossrail will boost London’s rail capacity by ten per cent and deliver new journey opportunities and faster journey times. Each train will be around 200 metres in length and able to carry up to 1,500 passengers. 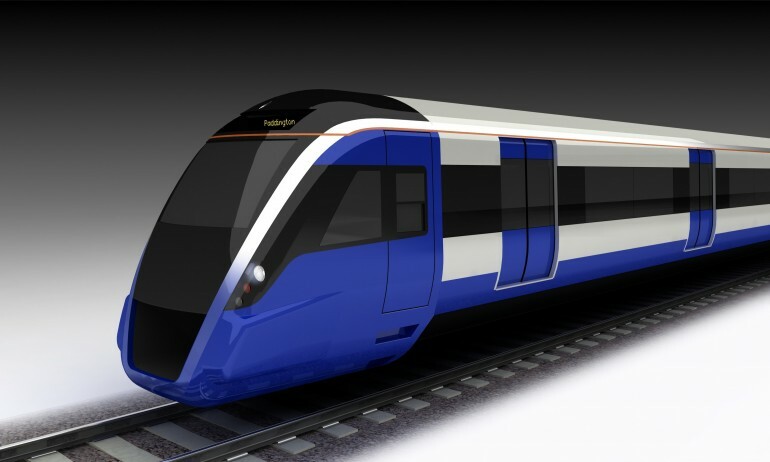 It is envisaged that the contract for new Crossrail rolling stock and depot facilities will be let in late 2013. Rob Holden, Crossrail Chief Executive said: “The rolling stock that will deliver Crossrail services will be intensively used with up to 24 trains per hour between Paddington and Whitechapel. The new trains need to be high capacity to meet the needs of passengers joining and alighting in the central section while also accommodating those travelling from further afield. The capital cost of new Crossrail rolling stock and depot facilities is in the region of £1bn. It is envisaged that new Crossrail rolling stock and depot facilities will be funded by private finance. Arrangement of finance will be required as part of supplier bids. The costs associated with the rolling stock and depot contract are planned to form part of the future cost of operation of Crossrail services. An OJEU notice for Crossrail rolling stock and depot facilities was published in November 2010 and closed to expressions of interest in early February 2011. Confirmation that Crossrail would proceed was given after the Thameslink rolling stock procurement had commenced and therefore Crossrail rolling stock requirements cannot be incorporated into the Thameslink tender process. The class number 345 has been officially registered with the National Rolling Stock Library in Nottingham for use by the new Crossrail trains. Class 345 differentiates the new Crossrail fleet from that planned for the 1990s scheme, which was designated Class 341.